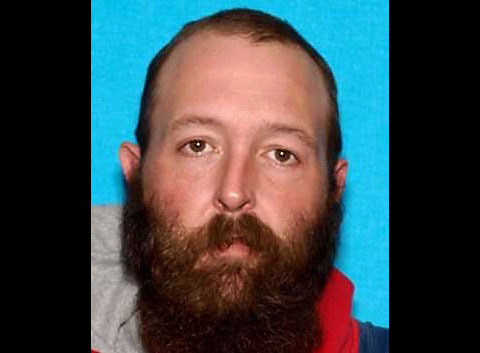 Nashville, TN – The Tennessee Bureau of Investigation (TBI) has a new addition to its ‘Top 10 Most Wanted’ list, Mitchell Hunter Oakes. 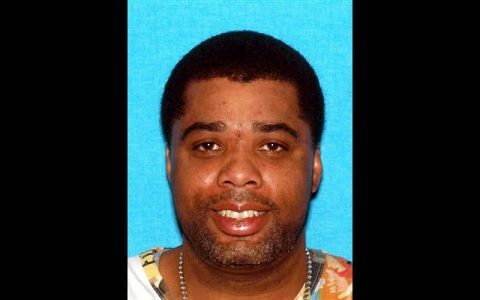 Nashville, TN – A man who was added to the TBI’s “Top 10 Most Wanted” list yesterday is now in custody. Stephen Maurice Mobley turned himself in to officers with the Chattanooga Police Department Wednesday morning. Mobley, also known as “Dollar”, was wanted by the Chattanooga Police Department and TBI in connection to a deadly shooting that occurred on Monday. Stephen Maurice Mobley has been captured in Chattanooga Tennessee. Chattanooga, TN – The Tennessee Bureau of Investigation has a new addition to its ‘Top 10 Most Wanted’ list: Stephen Maurice Mobley. 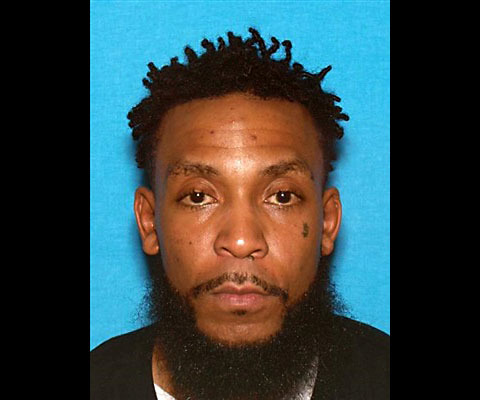 Mobley, also known as “Dollar”, is wanted by the Chattanooga Police Department and TBI in connection to a deadly shooting that occurred on Monday. Mobley faces charges including two counts of First Degree Murder, two counts of Aggravated Assault, one count of Attempted First Degree Murder, and one count of Employment of a Firearm during the Commission of a Dangerous Felony. 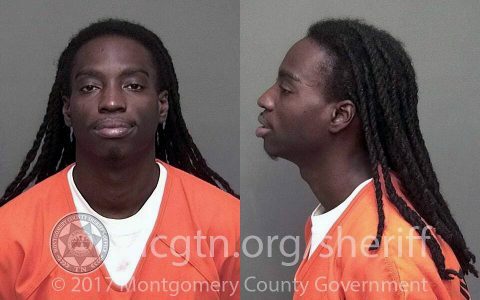 Stephen Maurice Mobley has been placed on teh TBI Top 10 Most Wanted List. Nashville, TN – Special Agents from the Tennessee Bureau of Investigation have charged a man accused of firing a gun during an encounter with a sheriff’s deputy who was attempting to stop him for speeding. At the request of 23rd District Attorney General Ray Crouch, TBI Special Agents began investigating an incident involving Nelson Yojeni Ochoa-Puentes early Monday morning. The investigation revealed Ochoa-Puentes led a Cheatham County deputy on a pursuit through a rural part of Cheatham and Dickson Counties. 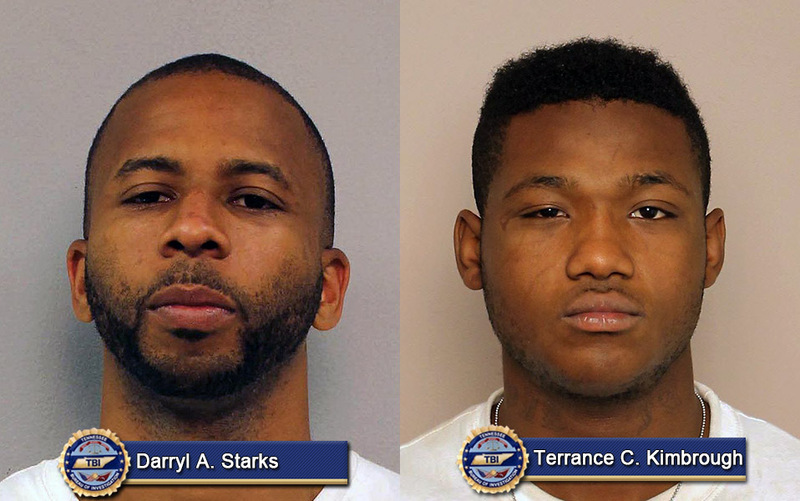 Nashville, TN – Two Nashville men who were placed on the Tennessee Bureau of Investigation’s Top Ten Most Wanted list last week were arrested today in Davidson County. 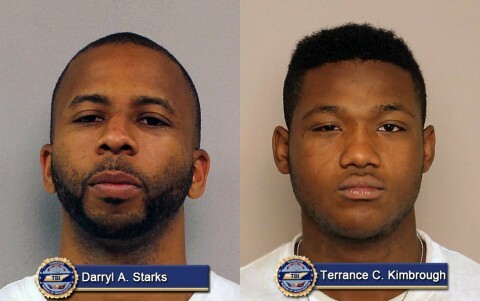 Darryl Antoine Starks, 31, and Terrance Christopher Kimbrough, 18, were taken into custody early Tuesday evening without incident by officers with the Metro Nashville Police Department’s Gang Unit and agents with the Bureau of Alcohol, Tobacco and Firearms. (L to R) Darryl Antoine Starks and Terrance Christopher Kimbrough captured. 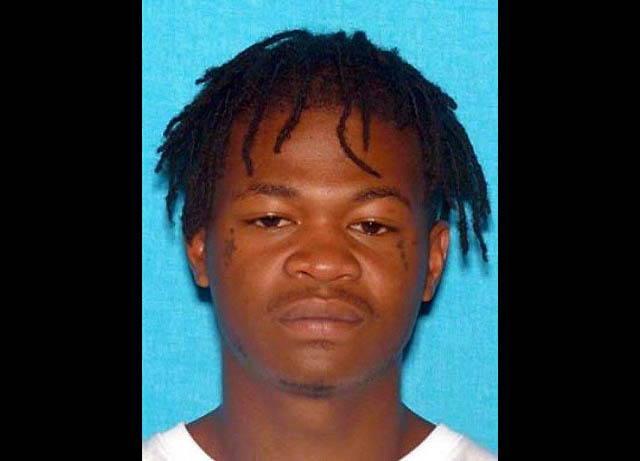 Knoxville, TN – A fugitive on the Tennessee Bureau of Investigation’s Top Ten Most Wanted list, Jabriel Aireece Linzy, was captured without incident this evening in Chattanooga. Since being placed on the Most Wanted list last month, TBI Special Agents developed leads that Linzy was in the Chattanooga area. Linzy was apprehended around 6:30pm at an apartment complex at 2247 East 27th Street by Agents with the TBI, the U.S. Marshals Fugitive Task Force and officers with the Chattanooga Police Department.